Scrabble is the classic board game that always spells F-U-N. 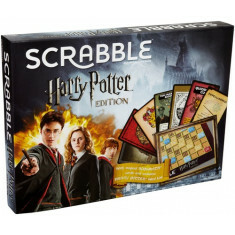 Consisting of interlocking words, crossword fashion, onto a playing board, Scrabble game challenges players to spell out words using letter tiles with various score values. The object of the game is to get the highest score and scores are given for letter values and boosted by premium squares on the grid. 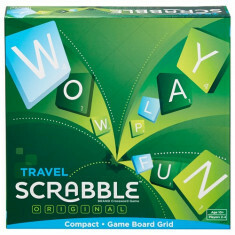 Words can read either across or down and your word must use a letter tile already in play on the board. Each player competes by using their tiles in combinations and locations that take the best advantage of letter values and premium squares on the board. 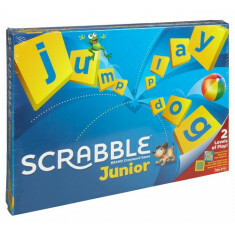 More than just a game, Scrabble actually improves your vocabulary as you’re introduced to new words each time you play.